Nasiraddin Tusi (also known as Nasir ad-Din Tusi) was born in 1201 in Tus, Khorasan, in what is now Iran. 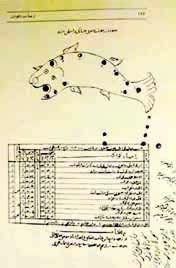 As a scientist and all-around genius, he is known for many things: founding an observatory in Maragha (the ancient cultural center situated in Maragha which is east of Tabriz in present-day Iran), interpreting and developing the mathematics of Euclid, predicting the existence of land west of the Atlantic Ocean as well as writing more than 80 influential books in Arabic and Persian about astronomy, geometry, geography, physics, law, history, medicine, philosophy, logic and ethics. Today he is highly revered and honored in Azerbaijan, and several education institutions are named after him, including the Tusi Pedagogical Institute in Baku. What few people know, however, is that Tusi also developed a basic theory of evolution - more than 600 years before Charles Darwin. This theory appears in Tusi's popular work "Akhlag Nasiri" (Nasirean Ethics), a treatise on ethics in the Greek tradition built upon the 11th century "Tahdhib al-Akhlag of Ibn Miskawayh", which Tusi drafted in prison while being held by the Assassins, a religious terrorist group. He later revised it for his Mongol master (the Mongolian occupation led to his release from prison). "Nasirean Ethics" was translated into English by G.M. Wickens and published by George Allen & Unwin in 1964. "Akhlag Nasiri" is about the perfection of humans. Tusi divides this perfection into two parts - material and spiritual perfection. He uses the term "takamul", which means "perfection" in Arabic. In modern Azeri, this same term now means "evolution". 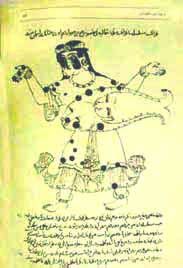 Various evolutionary ideas existed before Tusi's time, as shown in the folklore and religious beliefs of certain Oriental peoples, including the Babylonians, Egyptians and Medians. However, these ideas were more mythological than scientific. They were later adopted and expanded upon by ancient Greek scholars such as Empedocles (490-430 BC) and Aristotle (384-322 BC). Aristotle wrote: "Nature gradually, step by step, develops from inanimate substances to living creatures." Muslim scholars such as Abu Reihan Biruni (972-1048), Ibn Bajja (1070-1138) and Ibn Tufail (1110-1185) later tried to develop Aristotle's evolutionary views. Tusi used their works as the basis for a chapter of "Akhlag Nasiri", foreshadowing the theories of European scientists like Jean-Baptiste de Lamarck (1744-1829) and Charles Darwin (1809-1882). There are some key differences between Tusi's approach and Darwin's "The Origin of Species". While Darwin used deductive reasoning, gathering samples of plants and animals to work his way from facts to a theory, Tusi used a more theoretical approach. Muslim scholars like Tusi relied on inductive reasoning, moving from theory to facts, instead of the other way around. He developed a theory and then explained the facts on the basis of this theory. When he wrote about evolution (he called it "perfection") as a theory, he therefore didn't dwell on the details. For instance, he didn't write specifically about natural selection or the struggle for existence. In modern terms, he was more of a philosopher than a scientist. While this reasoning may seem backward to today's Western mind, some of Tusi's theories did have merit. For instance, Tusi believed that a body of matter is able to change, but is not able to entirely disappear. He wrote: "A body of matter cannot disappear completely. It only changes its form, condition, composition, color and other properties and turns into a different complex or elementary matter." His views were similar to those of the ancient Greek philosopher Heraclitus (530-470 BC). Five hundred years later, M. Lomonosov (1711-1765) and Antoine-Laurent Lavoisier (1743-1794) created the law of conservation of mass, setting down this very same idea. Tusi believed that the world once consisted of similar elements. He wrote: "They were equal and similar to each other. None of them had an advantage over the others, because all of these particles consisted of common primary matter." From the modern point of view, it is possible to identify Tusi's primary particles as atoms or elementary particles. According to Tusi, in this first stage, all of the particles were similar and immobile. Later, internal contradictions gradually appeared inside this static world. 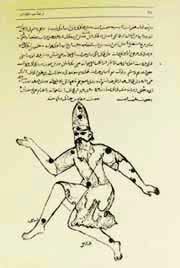 Tusi wrote: "As a result, the balance was damaged, and the essential contrasts began to appear inside this early world. Therefore, some substances began to develop faster and better than others." Tusi said that primary matter was the first link of the evolutionary chain. The four elements of Nature (fire, water, air and ground) were derived from this primary matter. In turn, minerals came from elements, plants from minerals, animals from plants, and humans from animals. Tusi explained that hereditary variability was the leading force of evolution. He wrote that all living organisms were able to change and that the animate organisms developed owing to their hereditary variability: "The organisms that can gain the new features faster are more variable. As a result, they gain advantages over other creatures." This sounds remarkably like a simplistic form of Darwin's writings about mutations. Why do these bodies of matter change? Tusi was right when he suggested: "The bodies are changing as a result of the internal and external interactions" - that is, as a result of environmental influences. According to Tusi, substances compete with each other, so some of them have reached a higher level than others. Some bodies do not develop at all. Therefore, there are different levels of development in Nature. Tusi noticed that organisms have unique ways of surviving. If an organism's structure corresponds to the environment, he said, that organism is perfect. He believed that all animals and plants in the world were perfect, because they all have the properties that are necessary to survive. Tusi wrote: "Look at the world of animals and birds. They have all that is necessary for defense, protection and daily life, including strengths, courage and appropriate tools [organs]". Tusi wrote that animate organisms are adapted to the environment in different ways. At first, they can change the shape and structure of their bodies. Thus, each part of the body has its own function. "Some of these organs are real weapons," he wrote. "For example, horns-spear, teeth and claws-knife and needle, feet and hoofs-cudgel. The thorns and needles of some animals are similar to arrows." In this way, some animals have changed their structure in order to adapt to a certain environment. Some animals have also adapted in terms of their behavior. Tusi wrote: "Animals that have no other means of defense (as the gazelle and fox) protect themselves with the help of flight and cunning." Tusi also described social animals, which are forced to live together to protect themselves from the pressure of the environment. He wrote: "Some of them, for example, bees, ants and some bird species, have united in communities in order to protect themselves and help each other." Tusi identified three groups of animate beings in Nature: plants, animals and humans. What distinguishes them? According to Tusi, "Animals are higher than plants, because they are able to move consciously, go after food, find and eat useful things." Advanced (higher) animals also have a [primitive] capability of reasoning and can easily adapt to their environment. If the environmental conditions change, the higher animals will change their behavior as well. "There are many differences between the animal and plant species," Tusi wrote. "First of all, the animal kingdom is more complicated. Besides, reason is the most beneficial feature of animals. Owing to reason, they can learn new things and adopt new, non-inherent abilities. For example, the trained horse or hunting falcon...is at a higher point of development in the animal world. The first steps of human perfection begin from here." Tusi believed that humans were derived from advanced animals. He wrote about the different transition forms between the human and animal world, saying: "Such humans [probably anthropoid apes] live in the Western Sudan and other distant corners of the world. They are close to animals by their habits, deeds and behavior." Tusi said that humans are related to all living and inanimate creatures of Nature: "The human has features that distinguish him from other creatures, but he has other features that unite him with the animal world, vegetable kingdom or even with the inanimate bodies." As to the differences, Tusi wrote that humans are not only biological, but also social beings: "Before [the creation of humans], all differences between organisms were of the natural origin. The next step will be associated with spiritual perfection, will, observation and knowledge." According to Tusi, humans are distinct from animals because they are able to make professional tools (instruments). In conclusion, Tusi wrote: "All these facts prove that the human being is placed on the middle step of the evolutionary stairway. According to his inherent nature, the human is related to the lower beings, and only with the help of his will can he reach the higher development level." So why isn't Tusi widely known for developing the theory of evolution? It isn't just because he was from the East and wrote in Persian. Tusi's theory is based on philosophy and Islam. He believed that God created the world, and that after creation occurred, the world developed on its own, while God supervises and guides this process. As a result, Eastern scientists who are familiar with Tusi's views about the perfection of the world have tended to interpret them from a religious or philosophical point of view. Many Muslims don't agree with the theory of evolution, just as some Christians don't, because it contradicts official theology. Although Tusi points at some of the same principles that Darwin developed, Eastern scientists consider Tusi's views as an allegory about the perfection of the human soul­not as naturalistic theory. Dr. Farid Alakbarov first became interested in Tusi's views on evolution in 1986, when he began his research of Arabic texts at Baku's Institute of Manuscripts. In 2000, he wrote a booklet entitled "Nasiraddin Tusinin takamul gorushlari" (Azeri) (The Evolutionary Views by Nasiraddin Tusi), known as "Evolutsionniye vzglyadi Nasiraddina Tusi" in Russian. He also presented a paper on the subject at Azerbaijan International University's Conference Devoted to the 800th Jubilee of Nasiraddin Tusi. Dr. Alakbarov writes a regular feature column in AI related to medieval medicine. His previous articles are available at AZER.com in English; or at AZERI.org, in the Azeri Latin script. See also "Scientists Who Made a Difference: Nasir ad-din Tusi and the Maragha Observatory" by Dr. Chingiz Gajar in Azerbaijan International (AI 4.2), Summer 1996, page 35. From Azerbaijan International (9.2) Summer 2001.